A bipartisan, bicameral group of lawmakers is pushing for major reforms to the budgeting process for federal agencies, calling on Congress to pass top-line spending levels every two years instead of annually. Lawmakers have kicked the idea around for years, but nudged the proposal closer to law in a joint committee formed as part of the two-year budget deal President Trump signed earlier this year. The panel delayed a vote on the changes until after Thanksgiving, as its members debated amendments and a plan for final passage. The move to biennial budgeting would allow for more time for lawmakers to put their proposals together and for agencies to adapt to their funding levels, Reps. Steve Womack, R-Ark., and Nita Lowey, D-N.Y., who co-chair the joint committee, said in announcing their suggested reforms. Appropriators would receive the top lines for each of the 12 annual appropriations bills for two years rather than one, which Womack and Lowey said would give agencies more time to respond to their forthcoming allocations. Lawmakers have for years heard complaints that “nearly every executive agency and department suffers under a protracted budget negotiation, delayed spending bills and continuing resolutions,” they wrote in a summary of their proposals. Biennial budgeting would smooth the appropriations process, they added, and give lawmakers more time to engage with the administration on its priorities. It would also free up appropriators to spend less time in negotiations and more time on oversight ensuring agencies are spending money in accordance with congressional intent. The measure would push back the deadline for Congress to reach a budget resolution to May 1. Lawmakers rarely meet the current target date of April 15 and called the new timeframe more realistic. The White House would be required to send a supplemental budget to Congress each December that includes updates on prior and current year funding data to give appropriators more time to plan their spending bills. 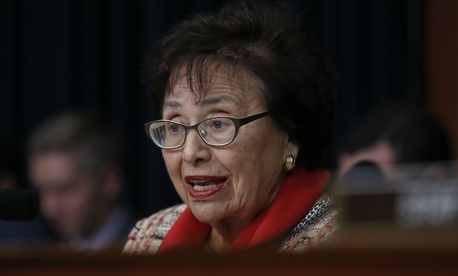 Lowey said at a markup on Thursday that the panel should not advance the measure until both chambers have agreed on a path forward, which has not yet occurred. She said moving too quickly on the proposal could “doom it to failure,” and she hoped everyone could come to an agreement after the Thanksgiving recess. Congress last passed major reforms to the federal budgeting process in 1974 through the Congressional Budget and Impoundment Control Act. The joint committee has held five hearings through the year and held private negotiations before unveiling its proposals. “I believe our recommendations will begin moving the ball forward to improve the functionality of federal budgeting,” Womack said.